Founded in 2010, Engineering Positive Space is an informal group of students, staff and faculty who work together to make our Faculty a place where everyone in our diverse community can, as much as possible, feel at home. The group meets once a month to talk, eat cookies and plan for events like Pink Shirt Day and Toronto Pride, which have become U of T Engineering traditions. 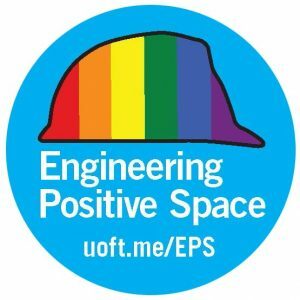 If you would like to get involved, email Engineering Positive Space at eps@ecf.utoronto.ca. Positive Space is an initiative that was founded in 1995 at the University of Toronto to raise awareness about the LGBTQ+ community in an informal way. 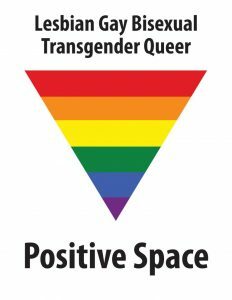 The founders created and distributed stickers and posters with an inverted rainbow triangle to identify allies. Over twenty years later, the stickers and posters are visible all over campus. When you see one the Positive Space logo on someone’s office door, it means the person who put it up is an ally – someone you can talk to and ask questions. While they may not have the answer, they will direct you to someone who does. Since its inception, the Positive Space Campaign has spread to many other universities across North America. The University’s Positive Space Committee is an informal group of students, staff and faculty who meet once a month to discuss issues and events for the diverse communities at U of T. If you would like to get involved, please sign up to the list-serv. QueerSphere is the new and improved LGBTQ+ Skule club at U of T Engineering. Get involved, connect and contribute to and improve the LGBTQ+ community experience within your Faculty. 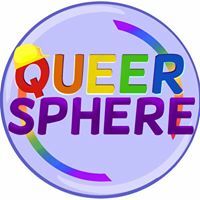 Events and additional information are available on QueerSphere’s Facebook page.